NEW YORK — March 7, 2013 — With International Women’s Day this Friday, global executive search firm Rosenzweig & Co. sees a tipping point in the not-too-distant future where gender will no longer play an important role in the hiring decisions of corporate leaders. Rosenzweig bases his comments on his firm’s own research and the leadership of high-profile corporate voices like Sheryl Sandberg, Facebook’s Chief Operating Officer, who urges women to “lean in” to help shatter the glass-ceiling. Catalyst, an organization promoting the advancement of women in business, released a report in January 2013 that found that women held 8.1 percent of the U.S.’s top earners positions in 2012, which is in line with the slow but upward trajectory voiced by the Rosenzweig Report. For eight years, Rosenzweig has detailed the number of women in top executive positions at the biggest corporations in Canada, a diverse country and a microcosm of the corporate world with its robust economy and rights and freedoms afforded to all citizens regardless of their socioeconomic status, gender or ethnicity. The latest Rosenzweig Report finds that 8 percent of the highest paying executive positions are held by women, almost double the 4.6 percent in the first Rosenzweig survey commissioned eight years ago. Leslie O’Donoghue, Executive Vice President, Corporate Development & Strategy and Chief Risk Officer of Agrium Inc., one of the world’s largest suppliers of agricultural products and services with 14,000 employees and a market cap of over $15-billion (NYSE: AGU), agrees with Rosenzweig’s assessment. 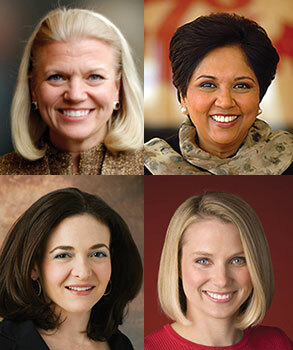 CEOs like Indra Nooyi at Pepsico Inc., Marissa Mayer at Yahoo! and other female leaders at large companies are still the exception, not the rule. Rosenzweig & Company is a high-end global talent management firm that focuses on critical, specialized executive searches. The firm has offices and affiliates in Toronto, New York, Los Angeles, Montreal, Calgary, Dubai, Hong Kong, Beijing, Shanghai, Mumbai and Sao Paulo.